Julia Reda is the Member of the European Parliament who has led the fight against Article 13, a proposal to force all online services to create automatic filters that block anything claimed as a copyrighted work. 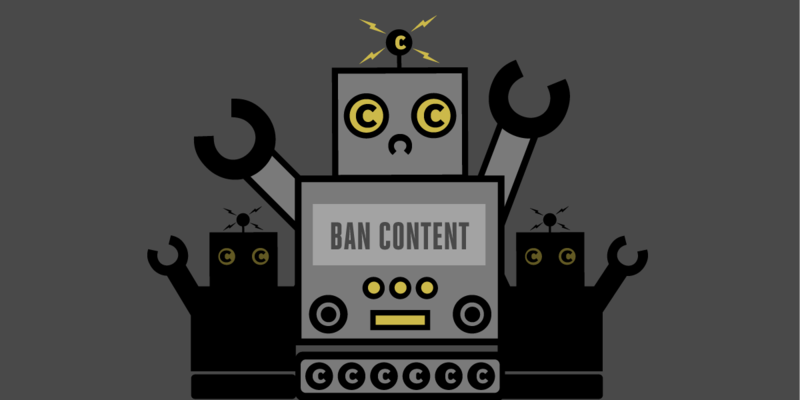 Reda has written copiously on the risks of such a system, with an emphasis on the fact that these filters are error-prone and likely to block material that doesn't infringe copyright. Topple Track (a notoriously sloppy copyright enforcement bot used by the major entertainment companies) got one of Reda's posts on the indiscriminate untrustworthiness of copyright filters removed from Google's index by automatically making a false claim of copyright infringement. Specifically -- and it would be hard to make this up if we tried -- Topple Track's automated filter got Google to de-index this blog post by Reda, in which she details the problems in Article 13 and how it will create mandatory censorship machines, that would likely lead to massive internet censorship of perfectly legitimate content. Let's repeat that so it can sink in. An automated filter helped take down an article by a Member of the EU Parliament, explaining how a (still being debated) proposal would create automated filtering systems that would take down all sorts of legitimate content. This feels like the sort of thing that should end all debate about just how damaging Article 13 might be (though, of course, it won't). When you force more mandatory filters onto the internet, these kinds of problems will only increase. Tons and tons of legitimate and perfectly legal content will get blocked. Last month, we posted a useful demonstration of just how much legitimate content would get censored under such a plan, but we never imagined that a perfect example would present itself just weeks later showing just how bad an idea Article 13 is.